It’s a specialized industry with a select customer base. Much of the business is generated by word of mouth. But when a prospective customer requests more information, it still doesn’t hurt to look good. 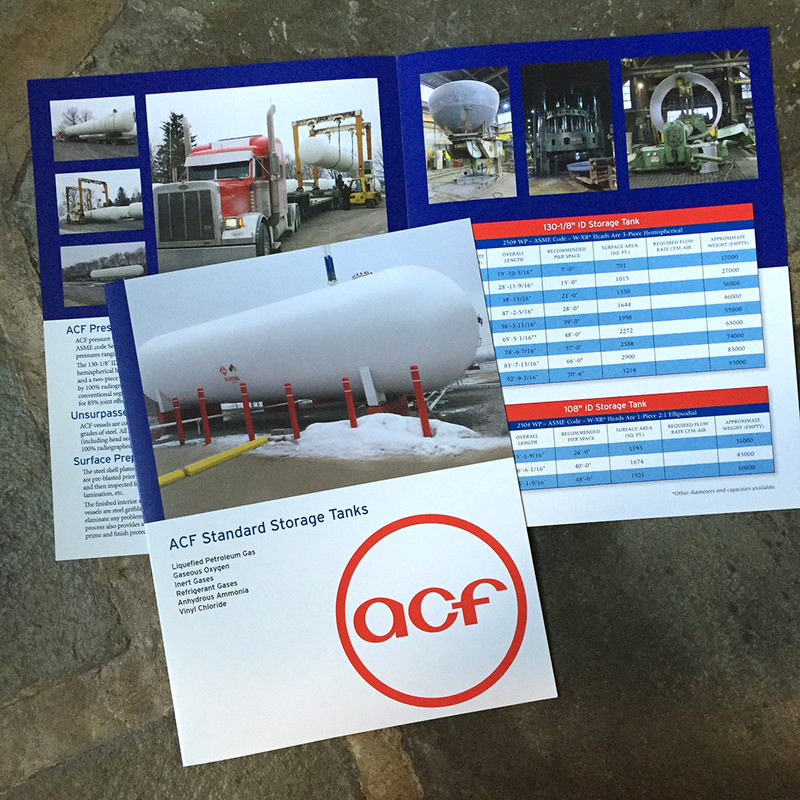 We recently designed this sales brochure for ACF Industries, which sells storage tanks for products such as liquefied petroleum gas, gaseous oxygen and other gases that require special handling and secure storage. In their industry, our client explained, the information presented in the brochure is usually provided in a very “vanilla” format. One company’s information doesn’t stand out from the next. They wanted to rise above that. The brochure design cleanly represents the company’s brand and demonstrates the process and the quality of its products through photography. It provides important information in an easy-to-read layout, using red, white and blue to reinforce their desired message that the product is made in the USA. The piece debuted at a recent trade show in Nashville. Comments Off on Looking Good!